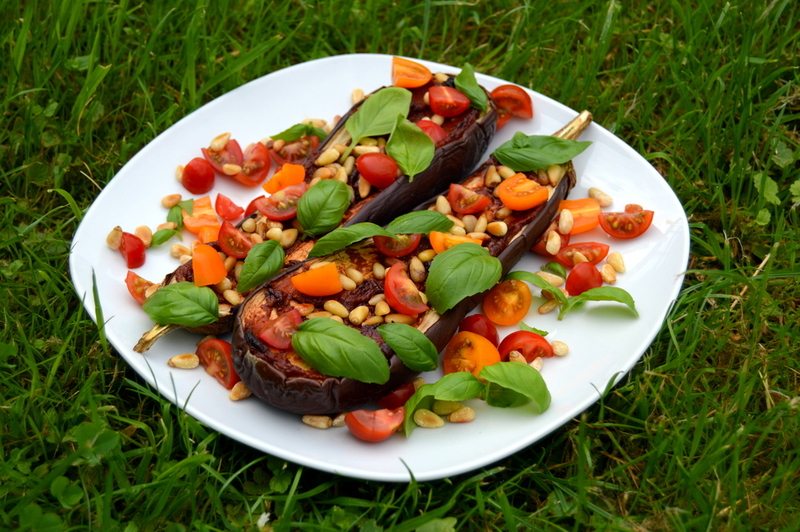 This is a simple and quick to prep vegan pizza that uses an aubergine (eggplant) as the base. Nutritional yeast and yeast extract is used to give a cheesy nutty taste. Nutritional yeast is commonly available from health food shops and is a inactive yeast grown for its health benefits and is rich in B vitamins. This Aubergine Tomato and Basil Pizza is much quicker than making a grain base and is naturally gluten free. You can top with any seeds or nuts. For the photos and video recipe pine nuts were used. Macadamia nuts, cashew nuts , sunflower seeds also work well. I like to add a decent amount of nuts / seeds to make this a complete meal with a good amount of healthy fats and protein. Don’t skip the basil, it isn’t just a garnish and adds that lovely basil metallic taste. On social media some people have commented that it looks burnt in the video recipe. Maybe it’s the lighting or maybe it is a tad overdone, but it certainly didn’t have that bitter taste you get with burnt food – it was delicious. Think of it as a BBQ finish. If this doesn’t appeal to you just make sure to remove from the oven before the topping turns dark. 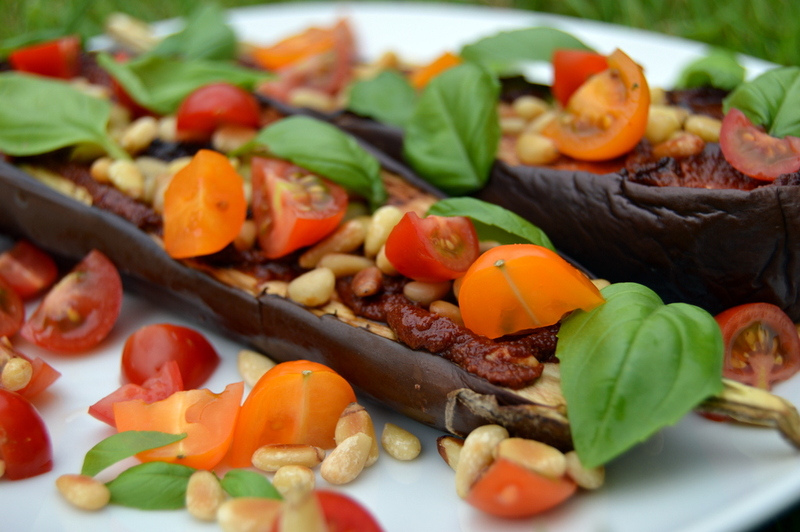 I really miss pizza as I’m on a diet, so using aubergine as a pizza base sounds great! Is the nutritional yeast used for flavouring purposes or for nutrition only? so maybe could skip the yeast if it’;s not used for flavour? Yep the yeast is used for flavouring. If you can’t get nutritional yeast I would just add a touch more yeast extract. You should try to pickup some if you can, its a great food for B vitamins and gives that cheesy nutty taste. I’m wondering about the tomato puree. It looks to be about the consistency of what we Canadians call tomato ‘paste’, which is essentially a thick, rich tomato concentrate. Would that be accurate, or should I use something with more liquid?